Today we have a sponsored post from Shop Your Way. From now until 10/7, anyone who signs up for Pay With GasBuddy using our link will get 50 cents CASHBACK in points from their first fillup and then 30 cents CASHBACK in points per gallon of gas for the next 60 days afterwards. Shop Your Way and GasBuddy just launched a powerful new partnership that will allow drivers to earn rewards for every gallon of gas they put in their tank while using the Pay With GasBuddy card. That’s in addition to the $2 CASHBACK in points for every ride they give as an Uber driver. The combination of the two programs creates opportunity to stack rewards passively by doing what we already do: Drive a lot. For those unfamiliar, Shop Your Way is a rewards program owned by Sears that rewards “CASHBACK in points” that can be used dollar-for-dollar at Sears, Kmart, Lands’ End, and online at ShopYourWay.com to buy millions of everyday products, while GasBuddy is an app that helps drivers find the cheapest gas stations nearby. What is Pay with GasBuddy? Pay with GasBuddy is a card (there is no credit check) that connects with your checking account and acts as a payment method between gas stations who partner with GasBuddy (GasBuddy says that’s 95% of stations). By doing this, the gas station bypasses a lot of the payment processing fees from their standard point of sale system. The fees are between 2 and 3% of each transaction, so it saves them a lot of money. Savings get passed on to those using Pay with GasBuddy in the form of rewards that either give you a discount on gas (5 cents per gallon) or Shop Your Way points (15 cents per gallon). This isn’t a credit card (or even a debit card) so that means you won’t incur that extra $0.10/gallon in “credit” prices at the pump like you would if you used a rewards credit card. You get the card, connect it to a checking account, and start using it at gas stations. They’re accepted at around 95% of gas stations (unfortunately, the card doesn’t work at Costco). This is important to remember when comparing the Pay With GasBuddy card to a rewards credit card, because most gas stations (at least in California) will charge an extra 10 cents per gallon if I pay by credit card. If gas is $3.50/gallon that comes out to an extra 2.81% just to use my credit card. My rewards credit card pays 2.75% for fuel purchases; so I actually lose money by paying with my rewards credit card! 50 cents CASHBACK in points per gallon for your first fill up (Must signup between 9/10 and 10/7 and then use within 40 days). 15 cents CASHBACK in points per gallon for every fill up after that. One thing to note though is that Shop Your Way points expire every 60 days, so you are going to want to make sure to visit Sears, Kmart, or ShopYourWay.com to redeem them before they expire. You can also opt to get 5 cents off of each gallon of gas through GasBuddy (instead of 15 cents per gallon CASHBACK in points) but I prefer to collect the CASHBACK in points since they come in at 15 cents per gallon and can be exchanged dollar for dollar at the Kmart I visit. Note: You can only spend up to $75 per day or $300 per week using Pay with GasBuddy, which will ultimately limit the number of gallons you can pump and therefore earn CASHBACK in Points per day and week. I don’t see this effecting UberX drivers though since most of us spend less than that on fill ups. You might hit the limit if you drive for UberXL though. So How Many Points Can You Really Earn? Let’s assume we have a full-time Uber driver with a Toyota Corolla who drives about 1,000 miles per week with a combined average MPG of 35 miles per gallon. That comes out to around 28.7 gallons of gas per week and $4.28 CASHBACK in points per week (at the base 15 cents per gallon CASHBACK in points). That’s about $34.24 CASHBACK in points over 60 days (rounding down to 8 weeks). The first 60 days using the card offers 30 cents per gallon CASHBACK in points, so that’s around $68.48 CASHBACK in points for the first 60 days that can be used dollar-for-dollar at Sears and Kmart. That’s also excluding the 50 cents per gallon CASHBACK in points bonus for your first fillup. In addition to the above partnership with GasBuddy, Shop Your Way also has a partnership with Uber where drivers earn $2 CASHBACK in points per trip they give (excluding UberPOOL) up to 50 rides or $100 CASHBACK in points every 90 days. I’m already driving for Uber so I signed up earlier this year and used my points during my move into a new apartment (I got a cooking set of pots and pans). It’s pretty reasonable for a driver to complete 50 rides in 60 days or less even if they are part-time so I’ve added that below. 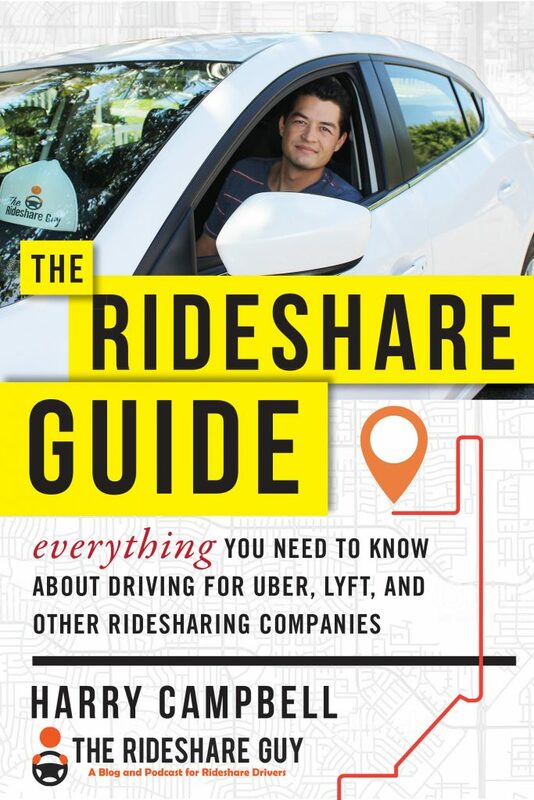 Related Reading: How To Hack Uber’s Driver Rewards Program. That translates into $100 CASHBACK in points over our 60 day period from connecting your Uber driver account alone. Bringing the total to $134.24 CASHBACK in points that can be used dollar-for-dollar at Sears, Kmart, Lands’ End, or on ShopYourWay.com. For your first 60 days though, the total could come out to a little north of $168.24 CASHBACK in points since there is an introductory promotion of cents per gallon CASHBACK in points per gallon. 50% off oil changes (up to five quarts). 20% off brakes with installation. 20% off battery replacement with installation. 10% off tires and tire services. 10% off: Shocks and Struts, Alignment, Filters, Maintenance Fluids, On-board diagnostic scan and repair, TPMS. Excludes: brakes, batteries, road hazard, tires, installation and performance balance. 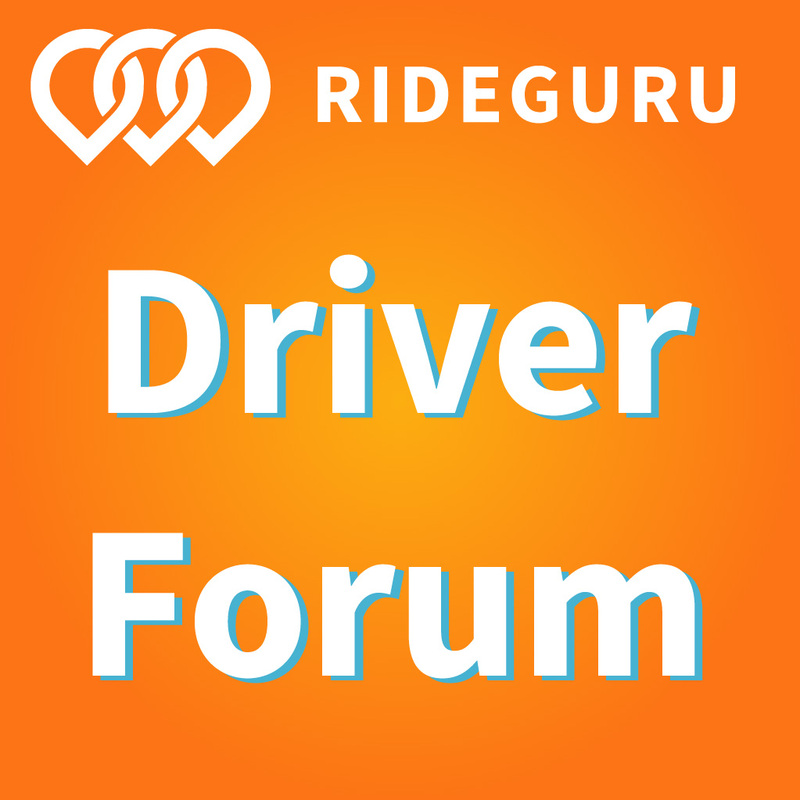 You can also earn $5 CASHBACK in points for every rider or driver you refer (up to $500 each). Passengers can link their Uber account to Shop Your Way and earn $2 CASHBACK in points for every trip they take. I used all of this earlier this year to get a lot of stuff I needed at Sears and Kmart since I moved into a new apartment and needed a lot of things. I also got A TON of clothes at Sears and still had some points left over at the end. 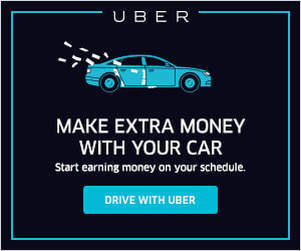 Once you’ve created a Shop Your Way account, you can then connect your Uber Driver account by clicking this link to begin taking advantage of Uber’s rewards. You can then click this link to sign up for a Pay with GasBuddy card and start earning CASHBACK in points with Shop Your Way. GasBuddy will ask you for your drivers license number, to verify your age (you have to be 18), and for your banking login info so you can choose which account to use to pay for your gas. Connecting both Uber and Pay with GasBuddy will allow you to start racking up CASHBACK in points on the road and reward you for the work that you are already doing! It’s a strong rewards program I’ve been using a lot this last year and I hope you can use it too. 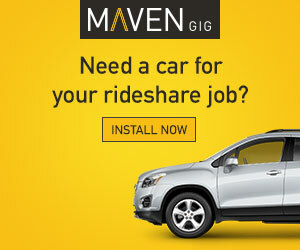 Drivers, what do you think of the Pay with GasBuddy and Shop Your Way Partnership? Do you use GasBuddy currently?